On May 6, 1960, while 20 million television viewers watched England’s Princess Margaret marry Anthony Armstrong-Jones at Westminster Abbey, Eldon Olson and Benita Jane McCormick were being married in front of two witnesses in the quaint village of Carmel-by-the-Sea. 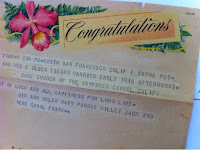 Ole and Jane, as everyone knew them, had opted for a quiet wedding ceremony on the Monterey Coast, some 100 miles south of San Francisco International Airport, where they worked for Trans World Airlines. 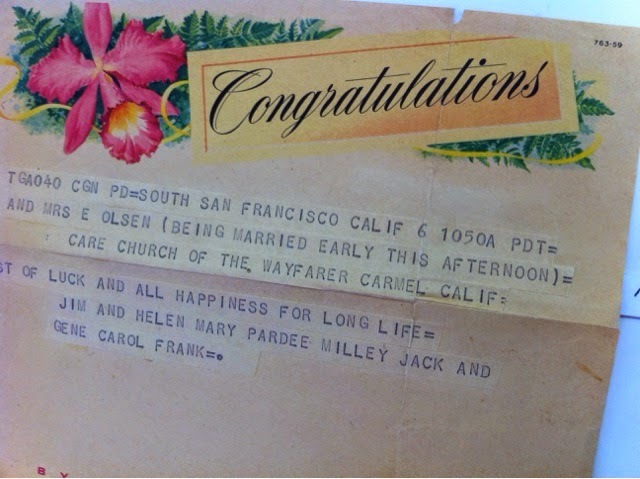 Charmed by Ole’s romantic invitation to her to spend her life seeing the world together, Jane gladly said “yes” and set off to buy herself a wedding dress. Unlike Princess Margaret and her groom, who arrived at Westminster Cathedral in a royal horse-drawn carriage amid a grand entourage, Ole and Jane drove for nearly two hours down to Carmel in a little Volkswagen Beetle, accompanied by their friends, Jerry and Sue Williams. It would have been a cool and clear spring day, with temperatures ranging between 50 – 64 degrees Fahrenheit. Once there, they headed into the picturesque Church of the Wayfarer at the intersection of Seventh and Lincoln Streets. Inside, Sue Williams would have helped Jane change into her wedding dress, which we see here. 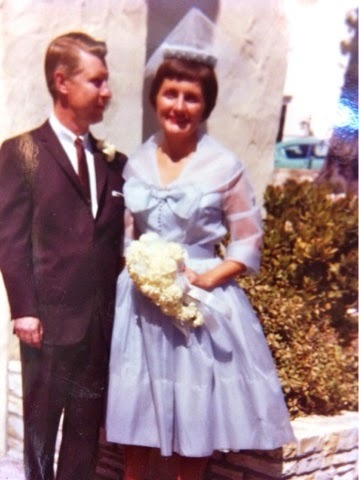 In her typical good taste, it was a stylish knee-length pale blue taffeta dress cinched at the waist with a satin belt, with a full skirt and a demure broad v-neck collar adorned with a large bow and chiffon-like three-quarter length sleeves. A small pillbox hat with a short wispy veil crowned her head. This snapshot shows us the happy couple just outside the church after the wedding ceremony. Jane smiles obligingly, her veil blowing lightly in the Carmel breeze. Ole, his arm around his bride, looks at her and not the camera, standing tall and proud. Unlike her extroverted mother, Benita, or even the British royal family, Jane was never much for fanfare. For her, getting married was all that mattered, and as long as she and Ole were together, she wanted nothing else – neither a big wedding, nor guests, nor gifts. Even the simple gold band Ole slipped over her finger acted as both engagement and wedding ring. place in the afternoon of May 6, 1960. Initially, Jane might have been apprehensive about telling her parents, Benita and Phil McCormick, after the fact. Then again, they had recently flown to Barcelona, Spain, for an indefinite stay. She saw no reason to interrupt their stay by asking them to come home for the brief ceremony. She sat down and wrote them a letter announcing the news. 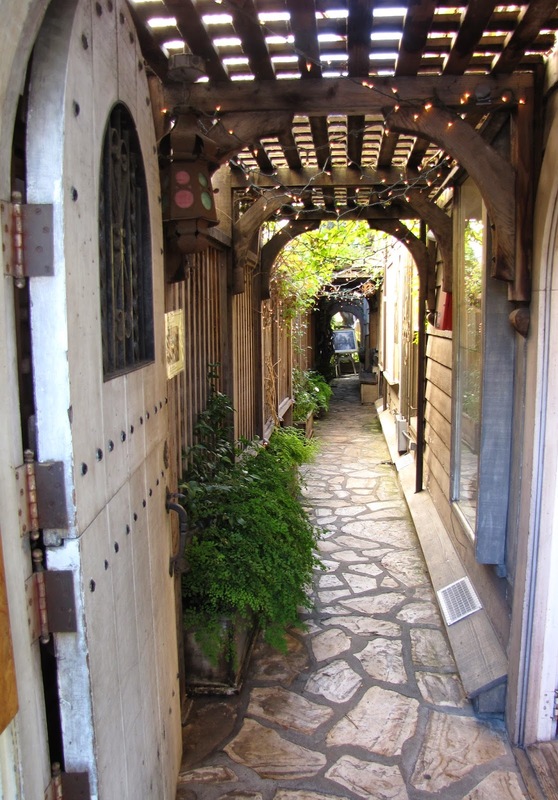 If someone wanted a quiet hideaway for a private ceremony, there couldn't have been a more quaint place to do so than Carmel. What a meaningful occasion that must have been for the couple.